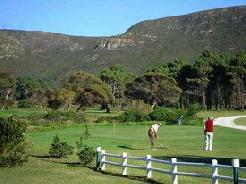 Paarl / Boschenmeer Golf Course is a David Frost signature golf course - the first 27-hole layout in the Winelands. 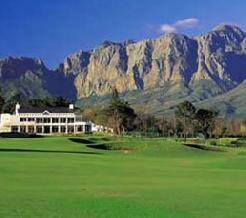 Backdrop to your back-swing is the majestic Paarl mountain range. Add mature trees, artfully conceived water features, and the famous Berg River and you've got the kind of layout that challenges the pro, rewards the amateur and inspires residents out for a stroll in their 140 hectare back yard. Boschenmeer blends the experience of natural beauty with playability in a way that is set to please all levels of golfer. It can get hot in summer but it is an easy course to walk. 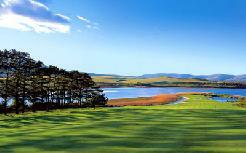 Designer David Frost has created a golf course of true championship standard. At the same time he has achieved a first class golfing experience that will both challenge the low handicap and scratch golfer, yet not be too daunting for the less experienced 'weekender'. 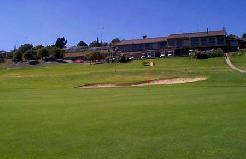 The 27-hole layout lends itself to championship play, with more simultaneous rounds possible. Which means less time taken to reach the ‘19th hole‘. Pro-golfer David Frost who grew up in the Paarl/Franschhoek region has brought his years of skill, knowledge and international experience of playing various golf courses, and incorporated his knowledge with the golf course design team to create this excellent 27-hole venue that consists of the “Berg River Nine” (1-9), the “Paarl Nine” (10-18), and the new “Boschenmeer Nine” (19-27). Signature hole: is the fourth hole of the Boschenmeer Nine, rated by readers of Golf Today (in 2002) as the best in South Africa.